BusStop Mag: Contest Announcement: 4 for 48: Red Bull Manny Mania Edition - UPDATED! Contest Announcement: 4 for 48: Red Bull Manny Mania Edition - UPDATED! If you are familiar with BusStop's 4 for 40 contest series, the concept is pretty simple. From the word go, you have 2 weeks to film yourself doing tricks as described in the rules. Before the trick, film the date and time in whatever way you see fit--note cards, focusing on your phone, etc. You post the video up online, send me a link, I post it, and people vote in the comments section for the winner. Film yourself doing 4 Manual tricks. 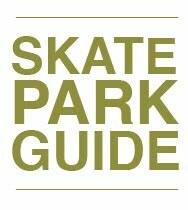 You can do these anywhere, but some good spots to work on these include the manny pads at Kona Skatepark and the pad at the OP skatepark ('OP Park'). Be sure to mark the footage with the date. 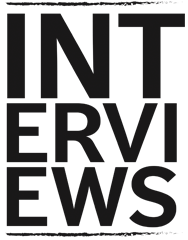 Upload your video to a sharing site such as Vimeo, Flickr, Youtube, whatever, and send me a link. Tell all your friends to vote in the comments section once all the submissions are posted. That's pretty much all there is to entering. So what do you get if you win? Well, you don't get 40 bucks. Sorry, no cash prizes this time. 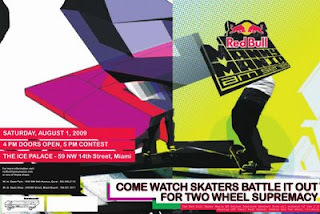 But don't worry about that, Red Bull is providing something much better: Top skaters judged will not only win 48 cans of Red Bull, but also a ticket to skate at Red Bull's Manny Mania event in Miami, in addition to a paid stay at a local hotel, courtesy of Red Bull. For more info about Manny Mania, visit the official website here. Update: The Deadline for Submissions is July 24th. Get Crackin'! Transportation isn't part of the prize as far as I know. Room and contest entry is.